Guangzhou-based China Southern Airlines (code CZ) has operated into Australia for more than 10 years. It now flies 11 times a week between Sydney and Guangzhou and increasing to double daily from June 25, 10 flights a week from Melbourne, four times a week from Brisbane and three times a week from Perth. It also offers daily direct services from Guangzhou to Auckland. In 2012 China Southern launched the Canton Route with new direct flights Guangzhou to London and Europe. 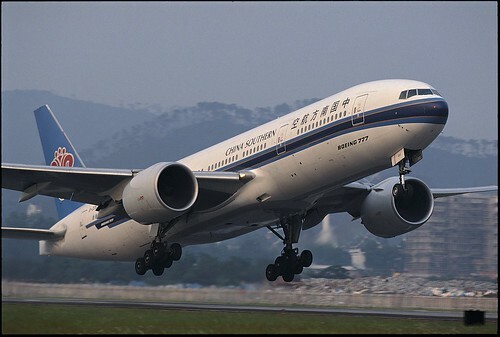 China Southern operates the largest airline fleet in Asia and with more than 80 million passengers carried in 2011 it is the third largest carrier in the world. Patagonia is a vast and varied territory making up the lowermost portions of South America, straddling both Chile and Argentina. With a landmass comparable in size to the entire eastern seaboard of Australia, the region is rich in scenic and natural wonders. Many Antarctic Peninsula cruises depart from Ushuaia, the world’s most southerly settlement. Here in the renowned Tierra del Fuego, visitors have the perfect opportunity to explore the breathtaking alpine landscapes. Around the corner in Chile you are at the gateway to an immense, almost polar area that boasts some of the most beautiful fjords anywhere. The Chileans have three superb national parks on their side of Patagonia; Parque Nacional Puyehue, Laguna San Rafael and Torres del Paine. Each can claim to be amongst the most spectacular in the world incorporating fjords, rich biospheres, glaciers, volcanoes and abundant distinctive wildlife like the curious Patagonian guanaco. Not to be outdone, Argentina’s easterly regions justifiably flaunt the likes of Peninsula Valdés where visitors can get amongst large numbers of sea lions, seals, rheas, penguins, flamingos and even whales. Patagonia can be considered a destination in itself, not merely a South American sidedish, so please consider any extensions offered as part of a larger package.